Chelsea have made Callum Wilson a £35million January target, according to Mike McGrath in The Sun. 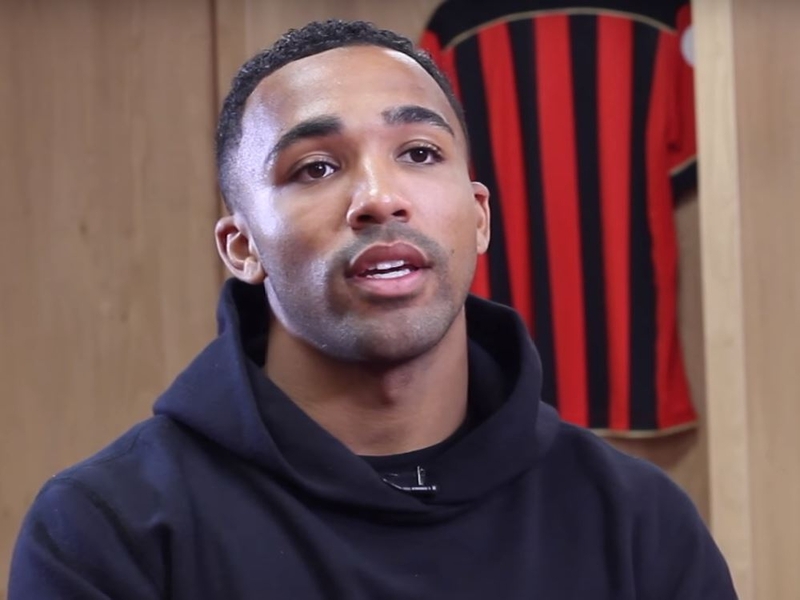 Wilson earned his first ever England call-up this week, reward for his superb form in the Premier League where he has scored six goals in 11 appearances for Bournemouth this season. Alvaro Morata had looked set to leave the club after struggling to find his best form but even his recent goal glut is not said to have dissuaded Maurizio Sarri from seeking another striker to add competition. Inter's Mauro Icardi has been linked with Chelsea but his £90m price-tag seems to have scared the Blues off and Wilson at £35m is a much more palatable option. The 26-year-old's pace would also add a new element to Chelsea's attack with neither Morata or Olivier Giroud carry the threat of any speed. Love Sport verdict: It seems odd that Morata finally starting to score goals would trigger Chelsea going on a striker hunt - but Wilson is a credible target. He adds pace, an eye for goal and crucially he is English, something the Blues lack and must fulfill in their squad when it comes to homegrown elements. Guess who's back? Nasri's back! Samir Nasri has finally completed an 18-month ban - which he was given for receiving an intravenous drip in 2016 - and Jacob Murtagh of the Mirror claims West Ham are considering offering him a return to English football. A France international, Nasri first made his name at Arsenal before switching to Manchester City where he made 171 appearances and won two Premier League titles. The 31-year-old last appeared for Antalyaspor in the Turkish Super Lig but is now reportedly looking to make a comeback at the top level of European football. West Ham are said to be eyeing his services but they could fall out over wages - the Mail claim he wants £5m a year in salary and is also considering whether he could command that money in Major League Soccer. Love Sport verdict: Who knows at this point? Nasri was an underrated weapon in that Manchester City team and if he can re-find that form, he might be a very valuable spark in the midfield. But having spent so long away, will that ever come back? ⚽️ | A PROPER FOOTBALLER@WestHamUtd fan @Baz1980WHU joined @mediaAaron, @sam_avery1 & @CnR452 and told them the influence he feels Grady Diangana has had on the side since being given his chance in the first-team. Italian outlet Tutto Mercato claim that Medhi Benatia is unhappy with his lot at Juventus and is ready to leave the club to get regular football. Benatia has only started four games in Serie A this season and appeared just once in the Champions League, leaving him unhappy at being unable to displace Giorgio Chiellini or Leonardo Bonucci from the first team. TMW claim AC Milan have already approached Juve about his availability and Unai Emery's Arsenal are also interested. And the 31-year-old could represent serious value for money with the Italians said to be willing to accept around £12m for Benatia. Love Sport verdict: Not sure this makes much sense. It's all very well saying Laurent Koscielny is on the way out given his advancing years, but Benatia is 31 and hardly adds youth to the side. He would be a decent short-term fix but in terms of medium- or long-term solutions, he is hardly one.